The RAF's Battle of Britain Memorial Flight comprises three main aircraft - the Spitfire, the Lancaster and the Hurricane. The Lancaster played no part in the Battle of Britain and the Spitfire is the aeroplane many people most associate with the RAF during World War II, but the Hurricane is the hero that won the Battle of Britain. The RAF's first monoplane fighter aircraft, the Hurricane entered service before the Spitfire and was responsible for destroying more enemy aircraft during the Battle of Britain than any other type. Around 60 per cent of claimed 'kills' fell to the guns of Hurricane pilots and the only Battle of Britain Victoria Cross, in fact the only VC awarded to a member of Fighter Command during the war, went to Flight Lieutenant Eric Nicolson of 249 Squadron. In a dogfight on 16 August 1940 Nicolson was badly wounded, his Hurricane damaged and engulfed in flames. While attempting to leave the cockpit, Nicolson spotted one of the enemy Messerschmitts ahead. He returned to the cockpit, which by now was a blazing inferno, and engaged the enemy. 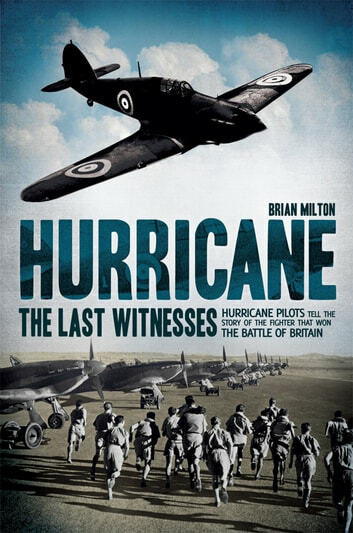 The stories of the Hurricane pilots form the basis of Brian Milton's riveting new book. Having tracked down the few surviving former Hurricane pilots who flew the aircraft during the Second World War, Brian has brought together a unique series of personal experiences from his 'Last Witnesses' to tell the story of what it was like to fly and fight in this iconic aircraft not only over the white cliffs of Dover during the Battle of Britain, but also during the Battle of France, the defence of Malta, in the intense heat of the North African desert, in the freezing temperatures of the Arctic wastes and in the suffocating humidity of the Far East. 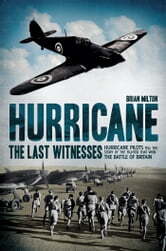 The Hurricane served in every theatre during the Second World War as a fighter, night fighter, ground attack aircraft and even on board ship guarding vital convoys. The fascinating first-hand accounts of these gallant pilots form not only a history of the aircraft, but also a tribute to the many friends they lost in combat.